A few snapshots of people preparing for the Reykjavik Pride 2017. Reykjavik Pride 2017 stage show. 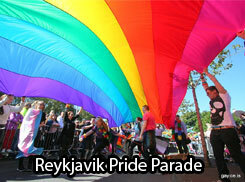 The National Queer Organization of Iceland organized an action week for Chechyna. 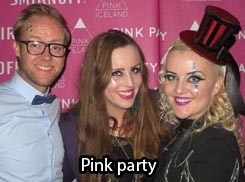 The annual Pink Masquerade Party - a part of the International Rainbow Reykjavik Winter Pride Festival took place on February 11th 2017 in Iðnó. 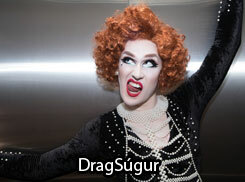 The Ice-stralian Jonathan Duffy was the host and the divas from Drag-Súgur and the gorgeous Sísý Ey sisters performed. Snapshots from the friday and saturday parties and the farewell brunch at Bears on Ice weekend September 2016. Snapshots from the friday Golden Circle tour at Bears on Ice weekend September 2016. Reykjavik Pride is an important event for the LGBTI+ community and the Icelandic society as a whole where we proactively celebrate human rights for all. 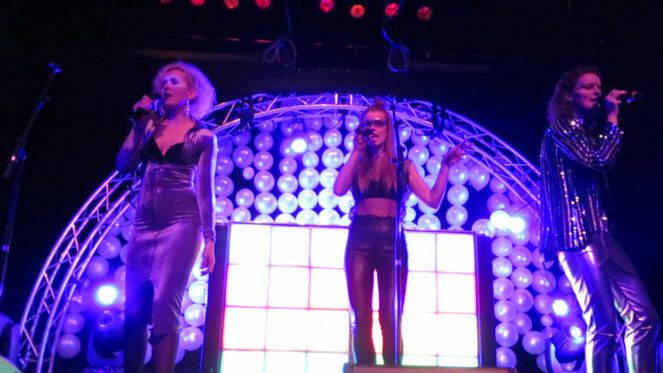 The Reykjavik Pride parade and the concert at Arnarhóll has in recent years been one of the biggest outdoor events in Reykjavik.